The beleaguered IL&FS group has been in the eye of the storm since September last year for defaults in payment obligations of bank loans by group companies. 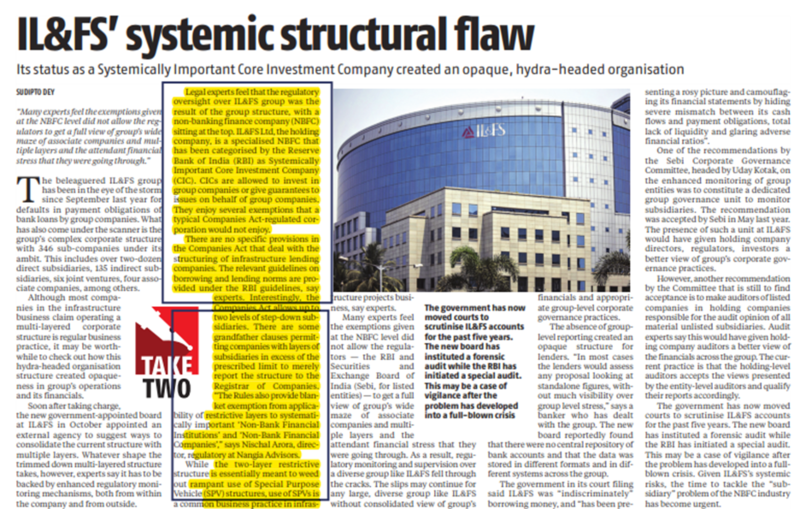 What has also come under the scanner is the group’s complex corporate structure with 346 sub-companies under its ambit. This includes over two-dozen direct subsidiaries, 135 indirect subsidiaries, six joint ventures, four associate companies, among others. Nischal Arora, Director- Regulatory shares his views on aforementioned story for Business Standard.